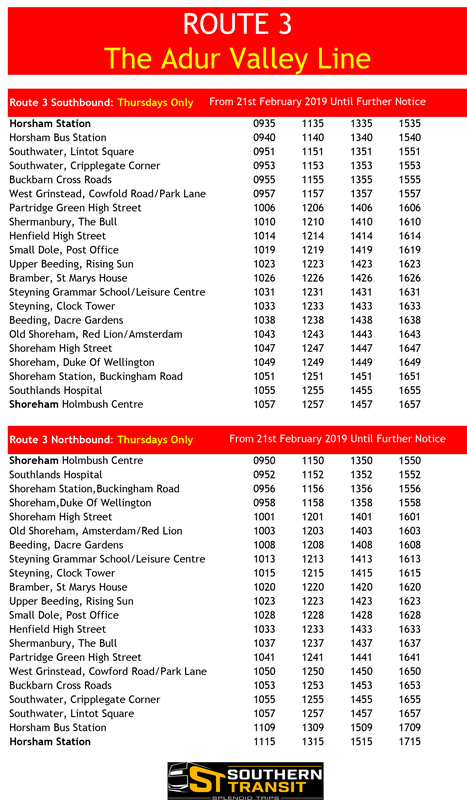 Route 3 service update: The last Saturday service will be 9th February 2019. 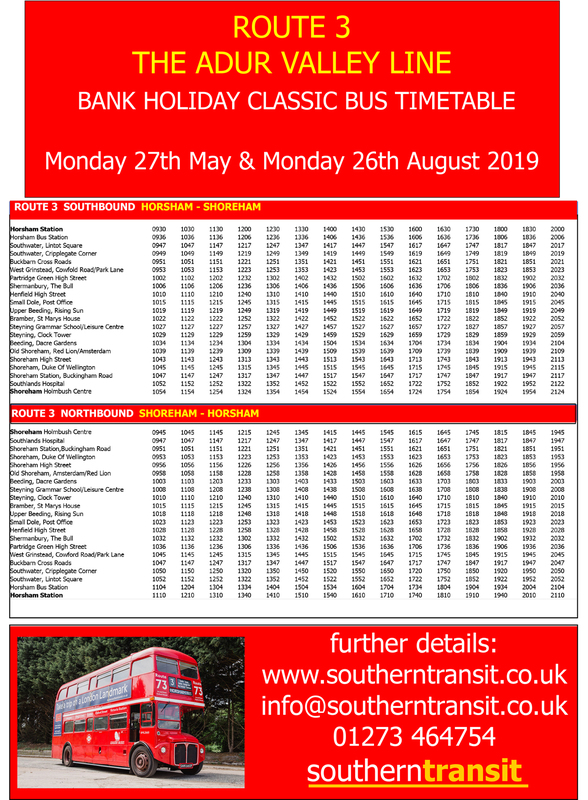 The current timetable will continue to operate every Thursday throughout 2019. 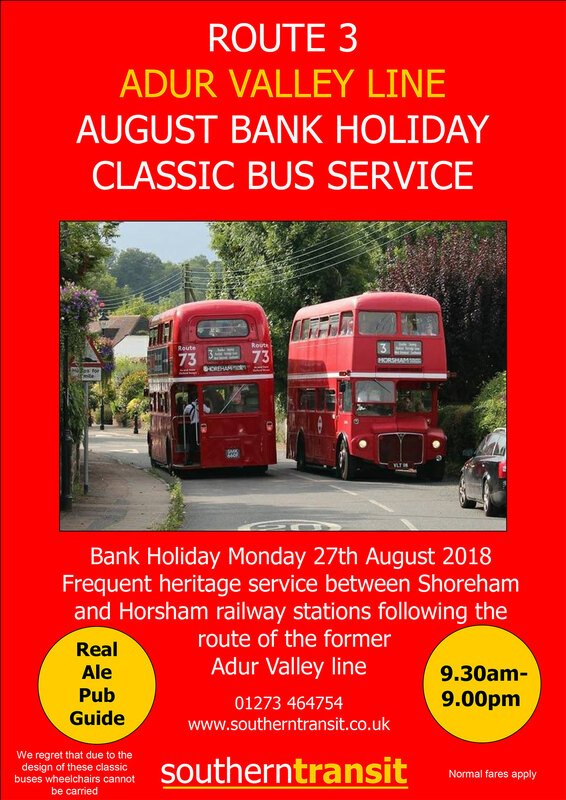 Classic bus operating days will be on 27th May and 26th August 2019. Our exclusive route is operated and financed by Southern Transit, because we believe it serves the local community and is worth the journey. 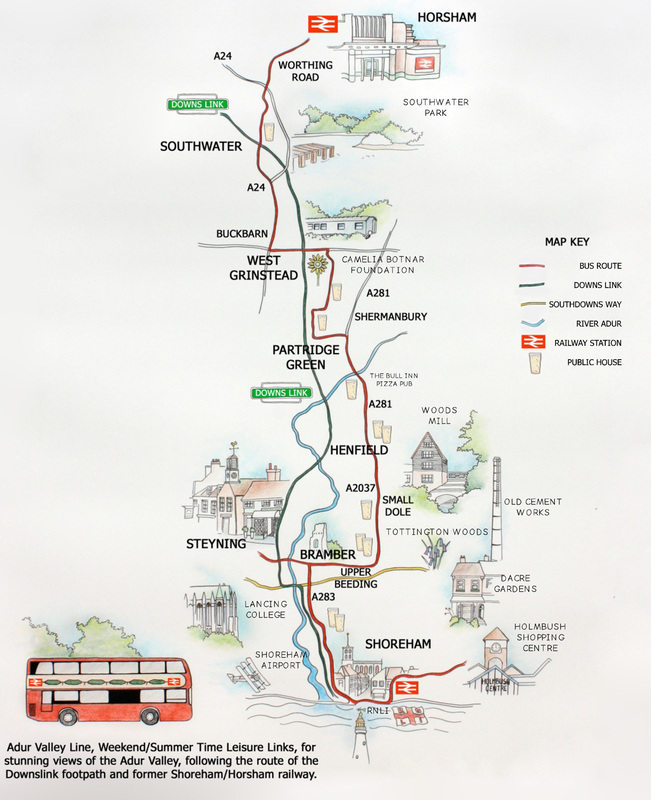 The service follows the route of the Downs Link footpath and former Shoreham to Horsham railway line in West Sussex, connecting towns and villages along the Adur Valley for a memorable trip through some of the South East’s most beautiful backdrops. The service runs every Thursday throughout the year. Elderly and disabled pass holders valid at all times Thursdays and Public Holidays. 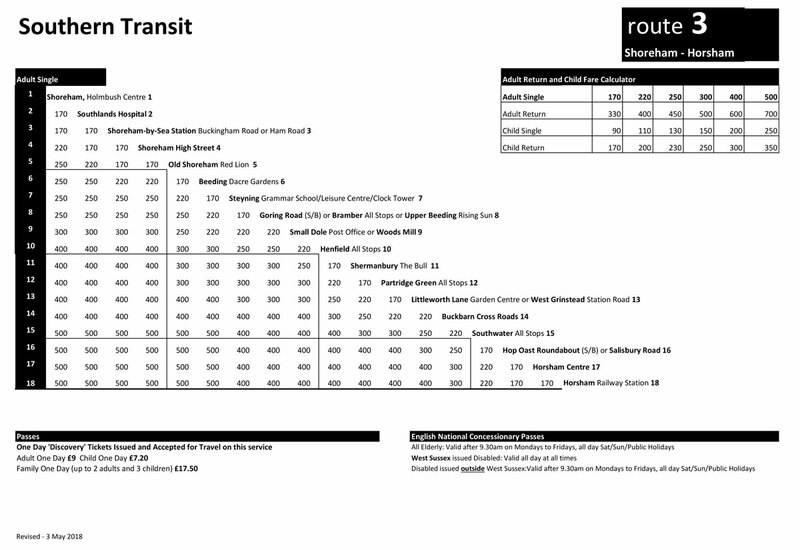 Please note: no other passes are accepted for travel on this service. On bank holiday Mondays in May and August, our iconic red London Routemaster and RT buses (made famous by Cliff Richard in the film Summer Holiday) operates with an increased service. Weather permitting we’ll swap the Routemaster for an open-top double-decker! Keep an eye on our social media pages for route updates.